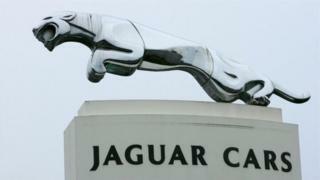 Almost 500 jobs are set to go at an automotive firm that supplies Jaguar Land Rover (JLR) from the car giant's former home on Brown's Lane, Coventry. Lawrence Automotive bought the site from JLR in 2010 and began supplying wood trim panelling for various models. But promised investment in key areas by the Chinese owners never happened, placing it in "terminal decline", Des Quinn Unite regional officer said. The firm said it had started a consultation process with staff. The premises will close in November unless the firm secures a sizeable new contract, Mr Quinn said. Between 450 and 500 people work there, he added. "JLR has not given them any more work, " he said. "They had the order book when they bought the centre... and eventually after that they [JLR] said 'time to stand on your own two feet', as they've had a lot of support from JLR in the last couple of years. "The more investment, money or technology that they said would happen, hasn't, and as the models have run out they've lost replacement work because they could not compete on price, quality or performance. It's been in terminal decline." He also blamed mismanagement by the owners for workers facing losing their jobs. "It's a shame. It looks like the end of manufacturing work at the site," he added. In a statement, the firm said: "We have commenced the consultation process with our employees which we are legally obliged to do and currently we do not know what the outcome of that process will be. "We are fully committed to the consultation process."